Power Rocks is the manufacturer of high-end power products, including portable charging technology for a variety of mobile devices such as smart phones, MP3 players, tablets, GPS, cameras, and eReaders. For Powerocks, I cleaned up their existing logo and designed custom icons and illustrations. 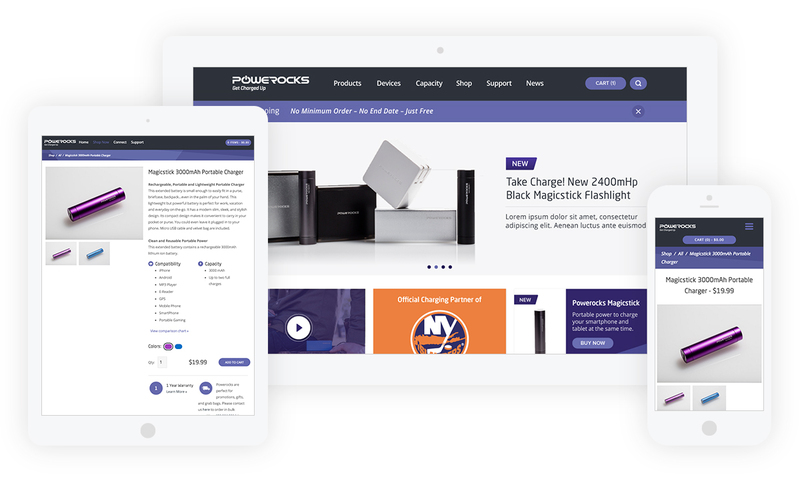 I helped create a marketing website and an e-commerce shop for Powerocks that would increase sales and decrease headaches. I outfitted their e-commerce site with a new platform, responsive design for mobile devices, an organizational system for all their products, and a simplified shopping experience overall.